THOUGHTSKOTO Thoughtskoto : POEA JOB ORDERS FOR AUSTRALIA: COOK, BAKER, CONSTRUCTION JOBS, CAFE MANAGER, AUTOMOTIVE ELECTRICIAN, ETC. 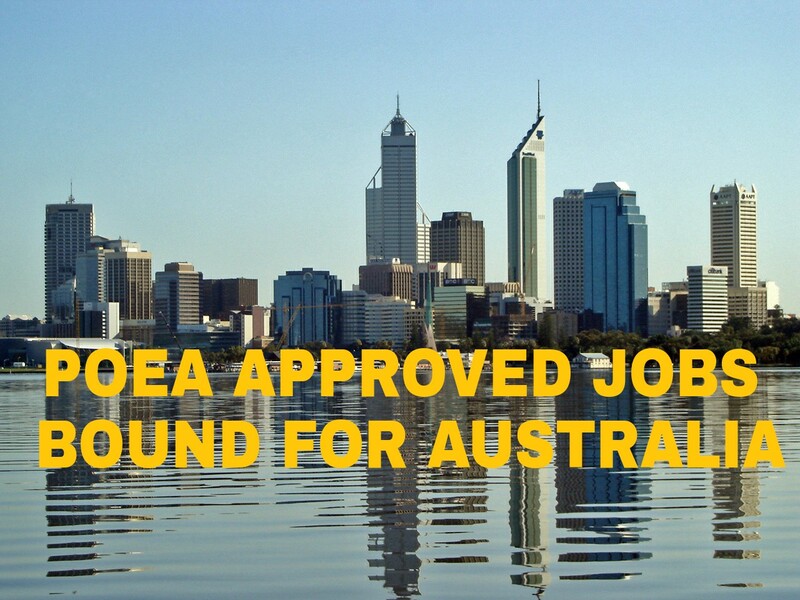 POEA JOB ORDERS FOR AUSTRALIA: COOK, BAKER, CONSTRUCTION JOBS, CAFE MANAGER, AUTOMOTIVE ELECTRICIAN, ETC. 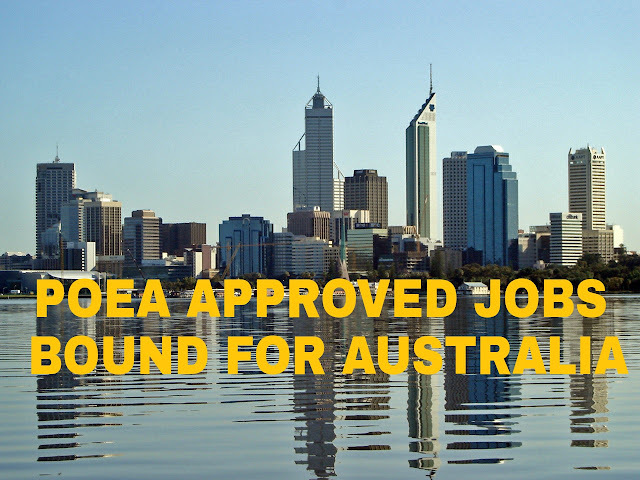 These are the jobs available from the POEA website from the approved job orders bound for Australia.